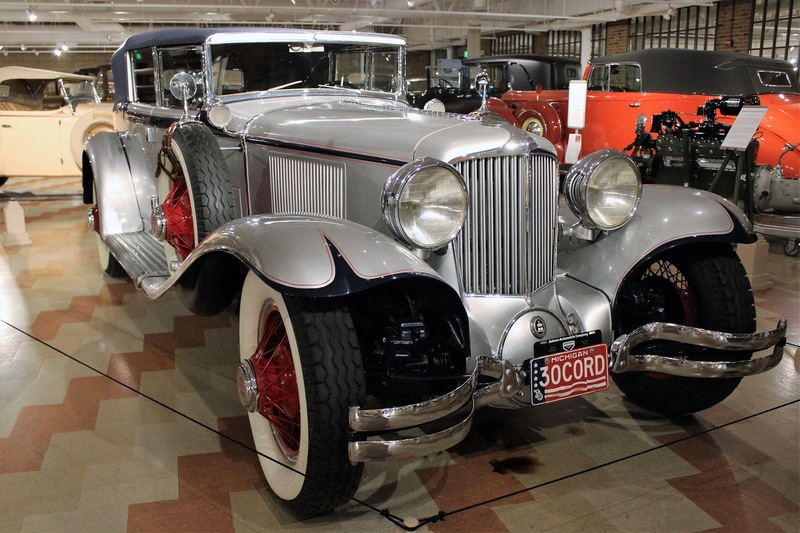 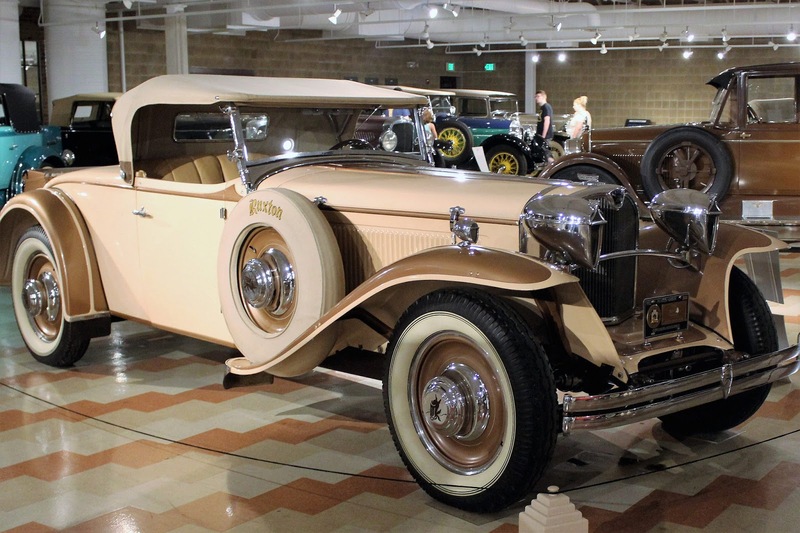 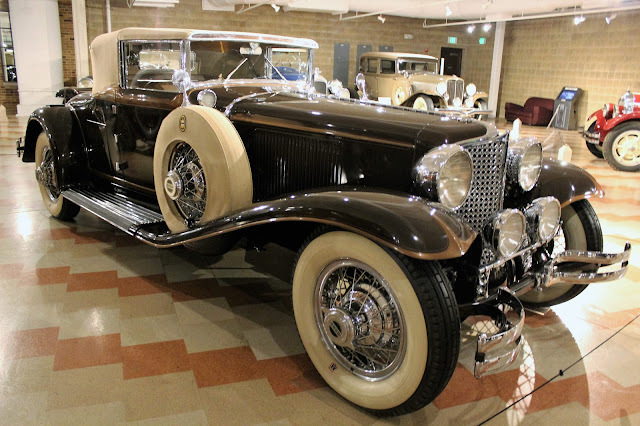 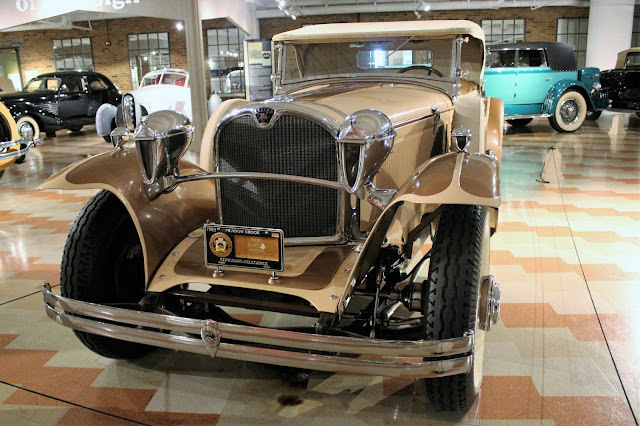 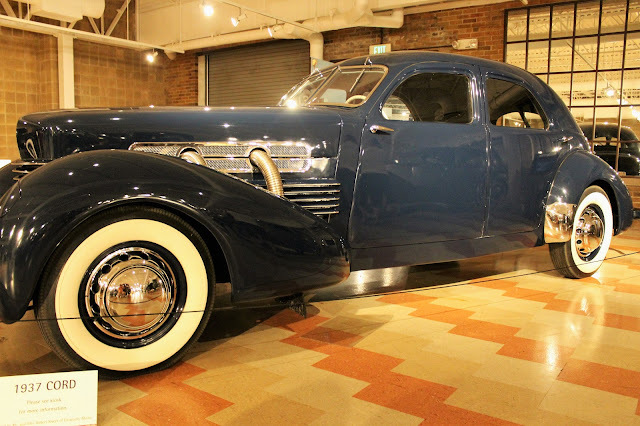 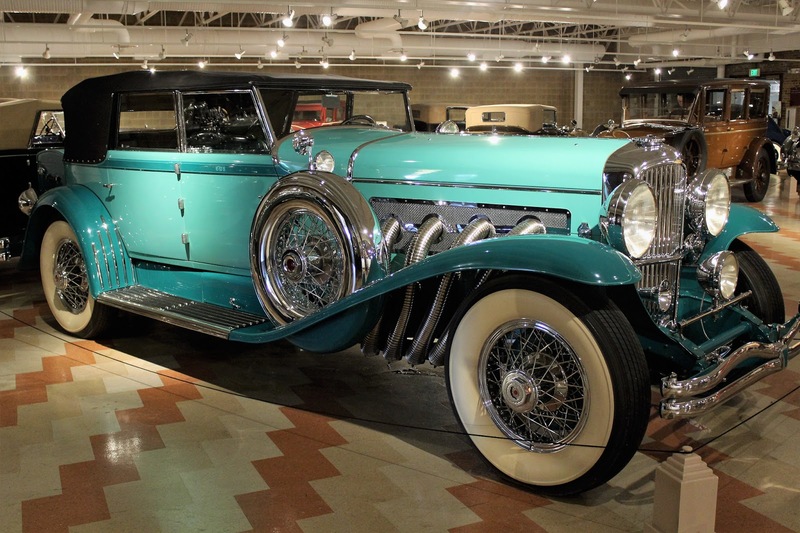 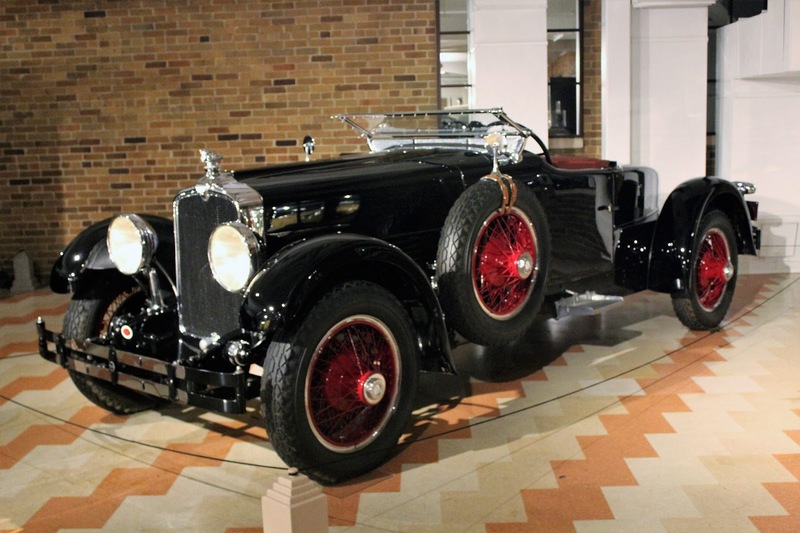 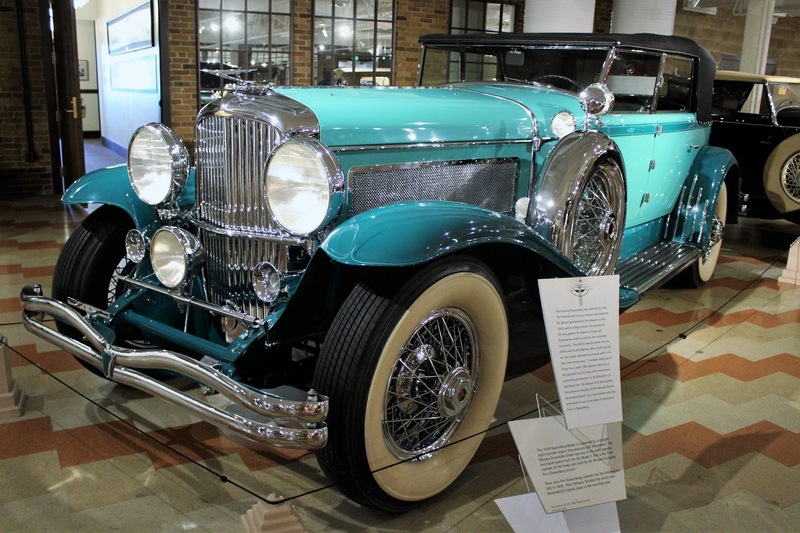 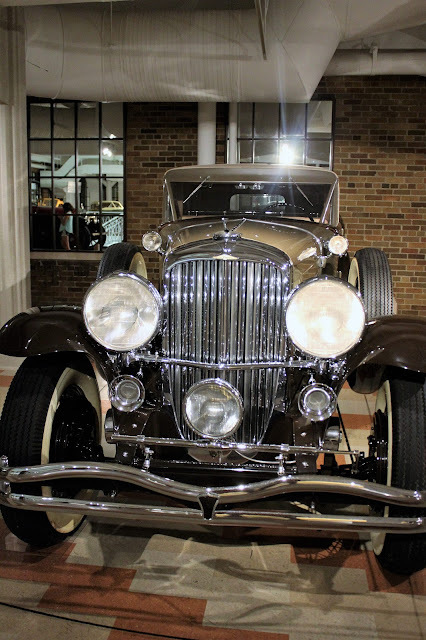 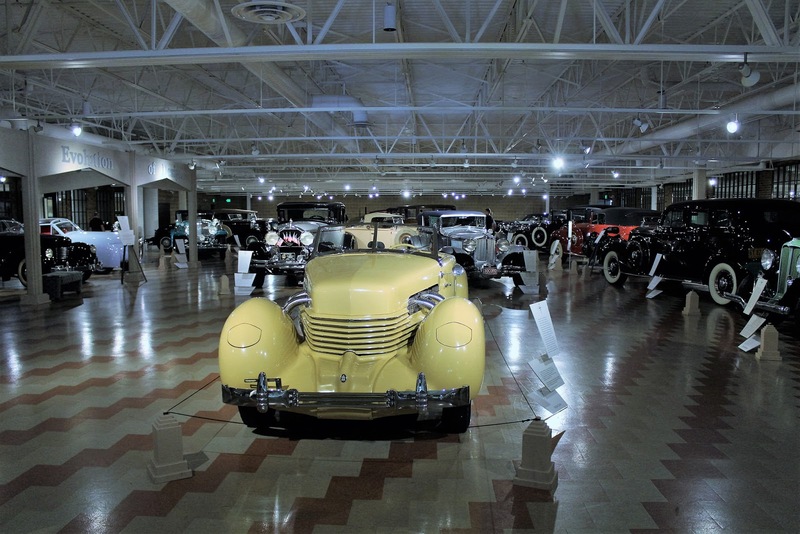 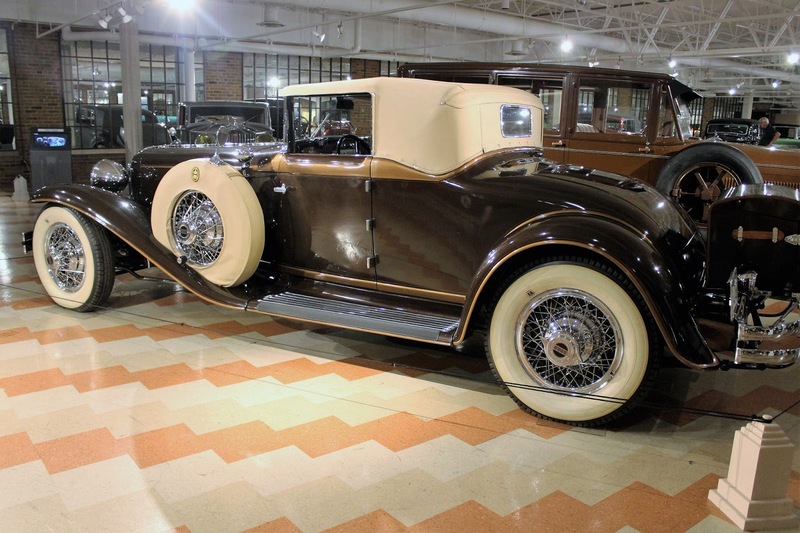 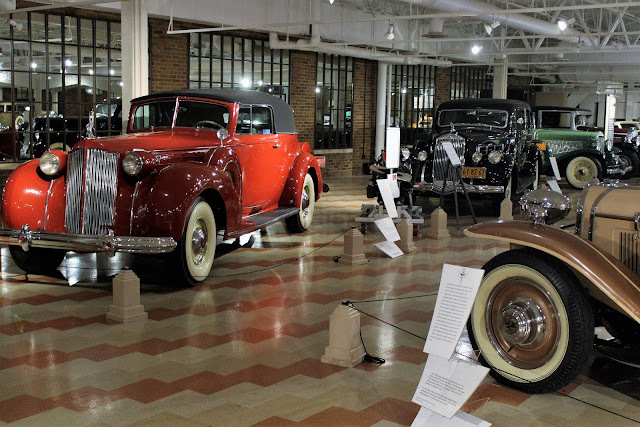 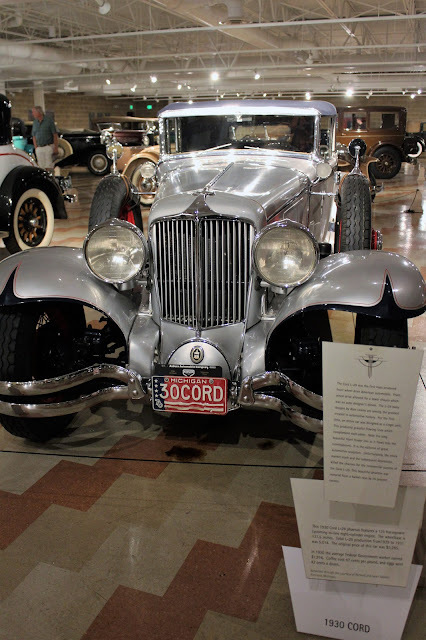 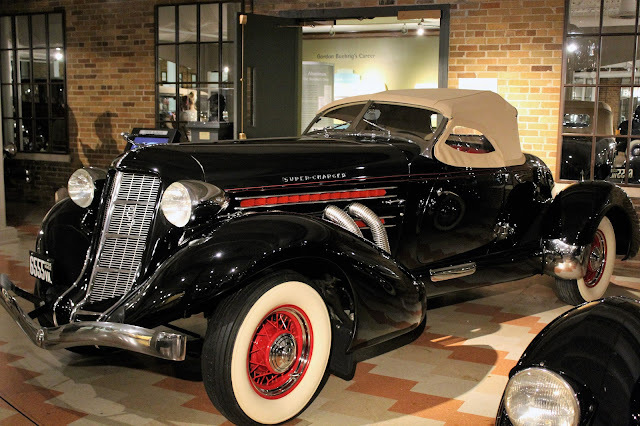 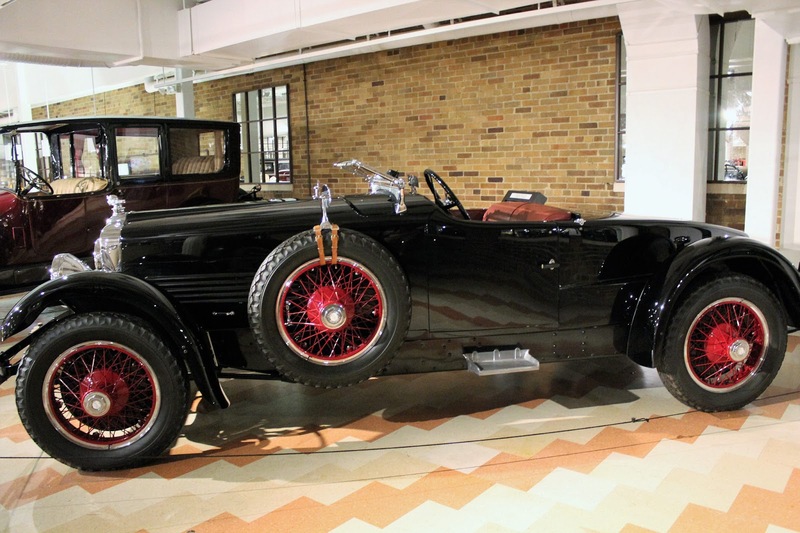 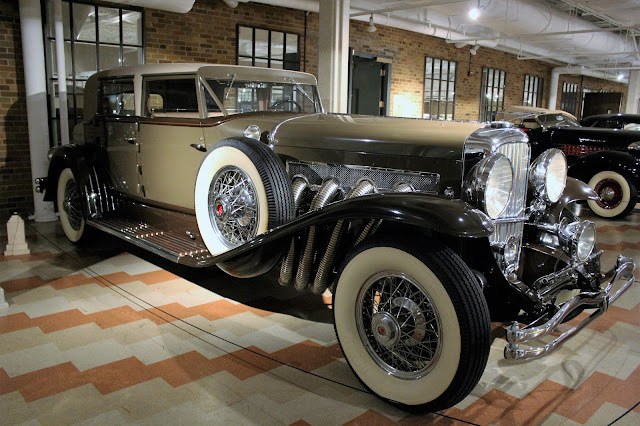 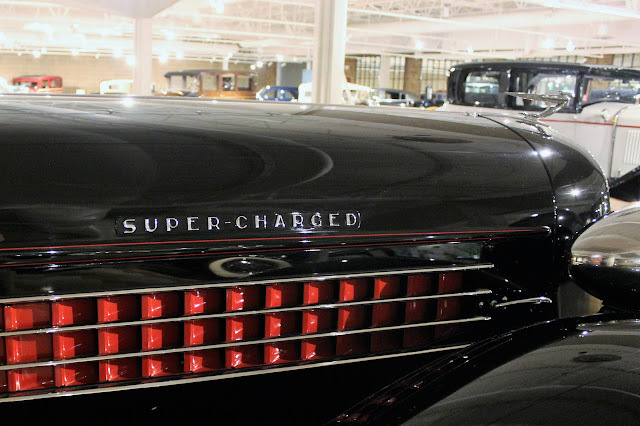 The second floor of the Auburn Cord Duesenberg Automobile Museum was previously an open courtyard but has been roofed over for the Gallery of Excellence and Innovation. 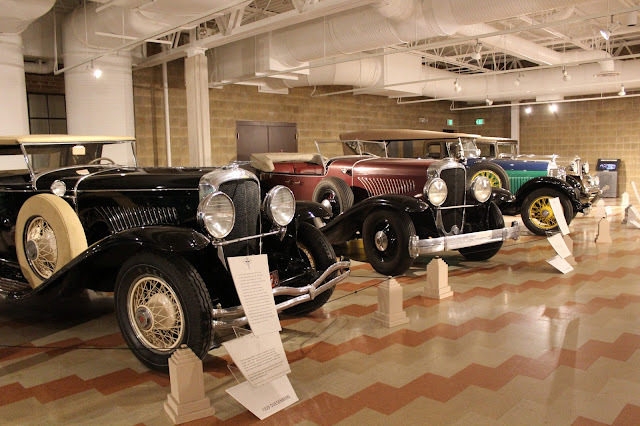 The excellent selection of cars was not limited to A-C-D brands but covered some quite unique vehicles. 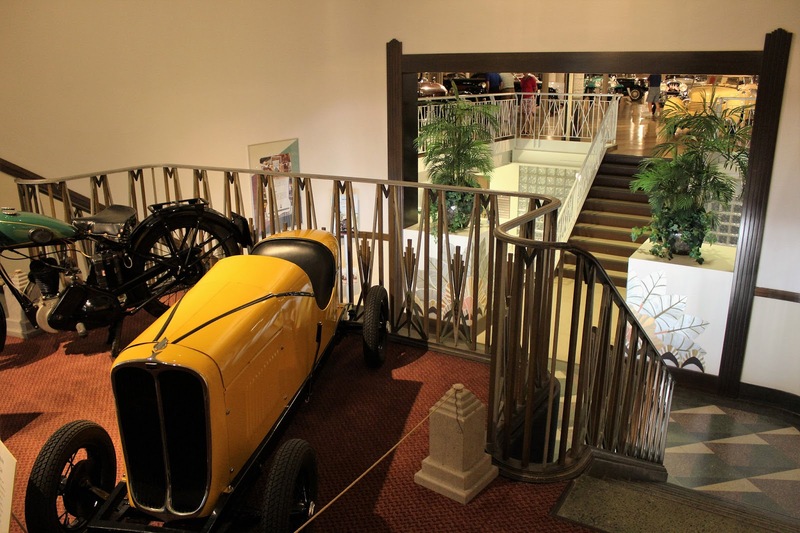 Walking up the stairwell between the first and second floors, there is a small mezzanine level with two vehicles on display, both with direct connections to E.L. Cord himself. 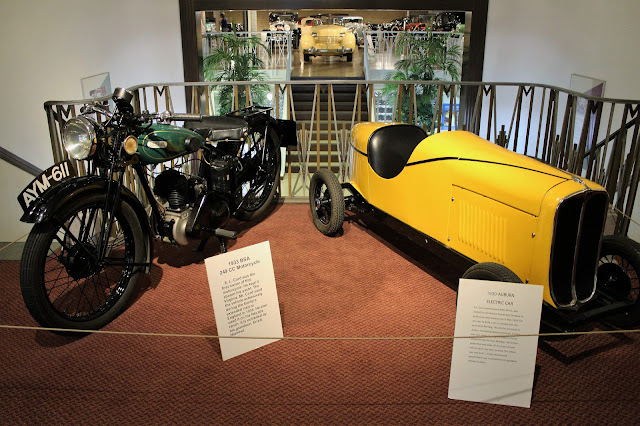 There is a 1933 BSA motorcycle that Cord himself used and kept on his yacht, and a rather peculiar electric car that Cord asked an employee in May 1930 to construct with a view to competing with the Auto Red Bug, microcars of the period powered with gas or electric motors and used in places like Jekyll Island for resort transportation or as a novelty for the wealthy. Seven of the Auburn electric cars were made and two survive. 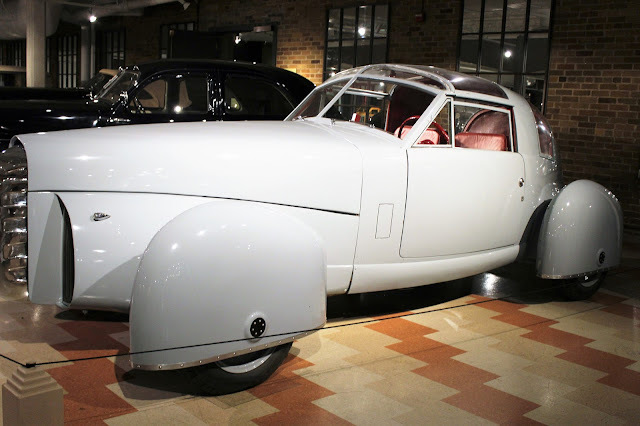 They were enjoyed by Cord's children but never went into production. 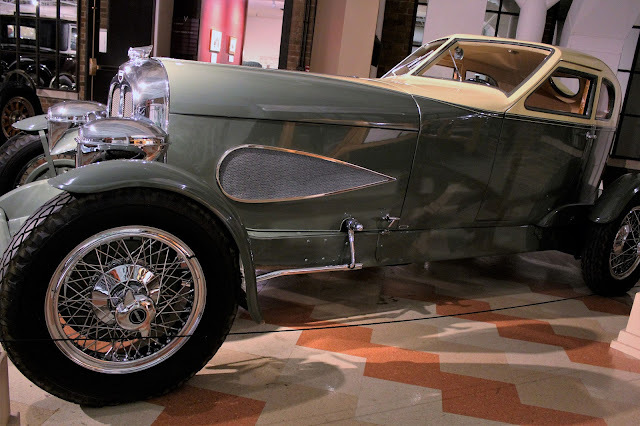 On entering the gallery, one finds an extremely novel car, an exact reproduction of the sporty 1929 Auburn Cabin Speedster. 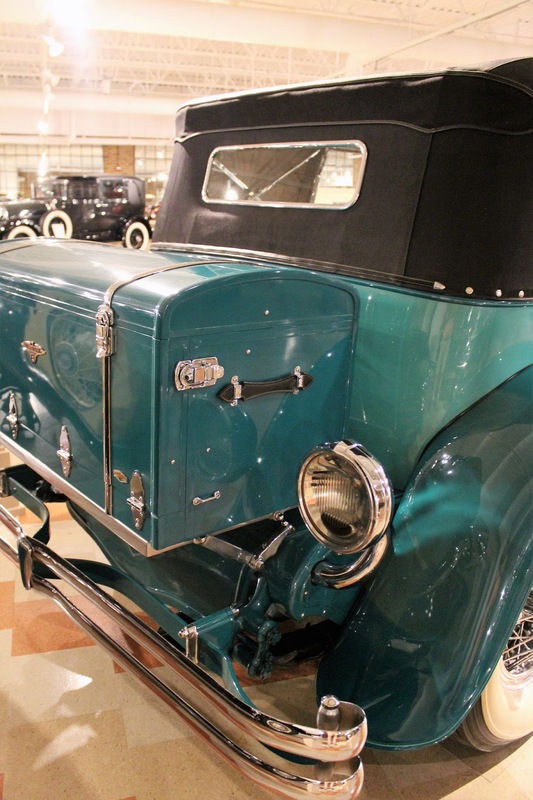 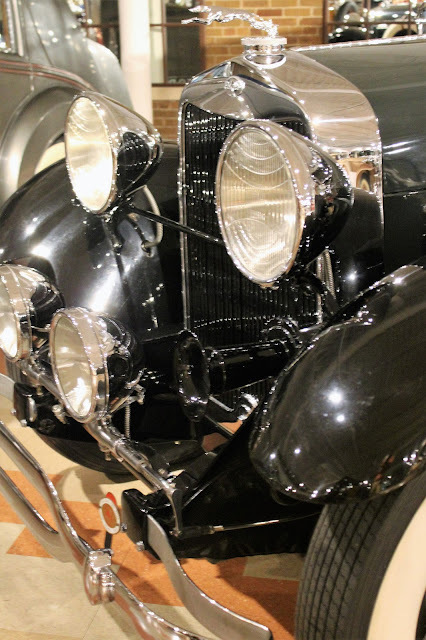 This one-of-a-kind car used an Auburn straight eight engine and wore an aero-styled body of aluminum panels over wood framing constructed by the Griswold Body Company of Detroit. The two-seat car featured the narrow Woodlite headlights and cycle fenders, a raked windshield and aero-style vents on the hood. 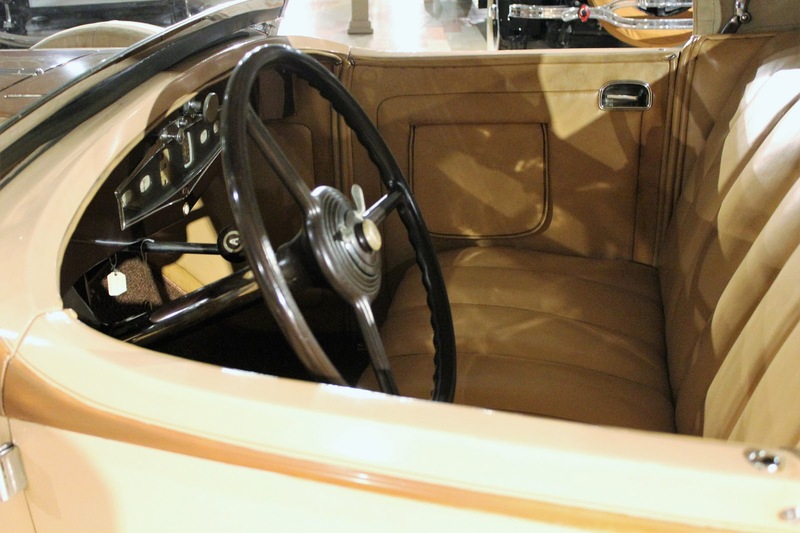 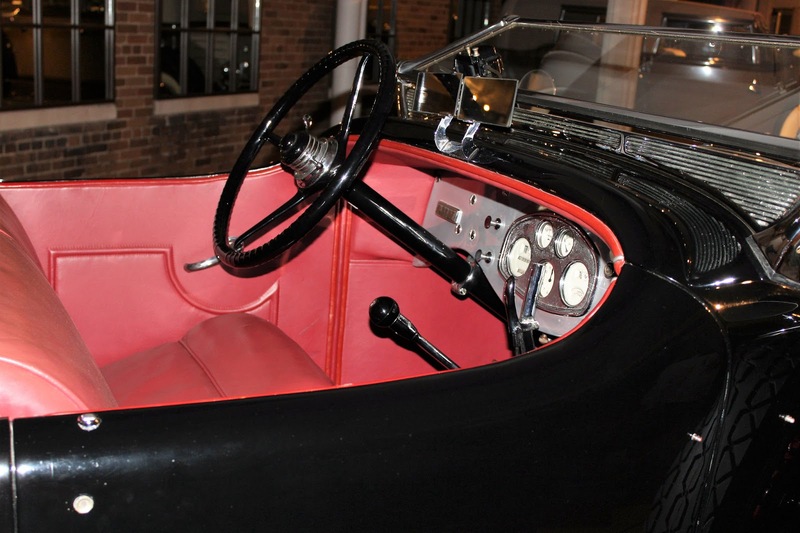 The interior had lightweight wicker seats and, keeping with the aviation theme, an altimeter and a compass. The car was a sensation when shown at car shows on the East Coast, garnering terrific publicity for the company. It was shipped west for the Los Angeles Auto Show. On the evening of March 5, 1929 a short circuit caused an electric fire that spread rapidly throughout the show, which was housed in four tents, with the result that 320 cars, including the Cabin Speedster were destroyed. 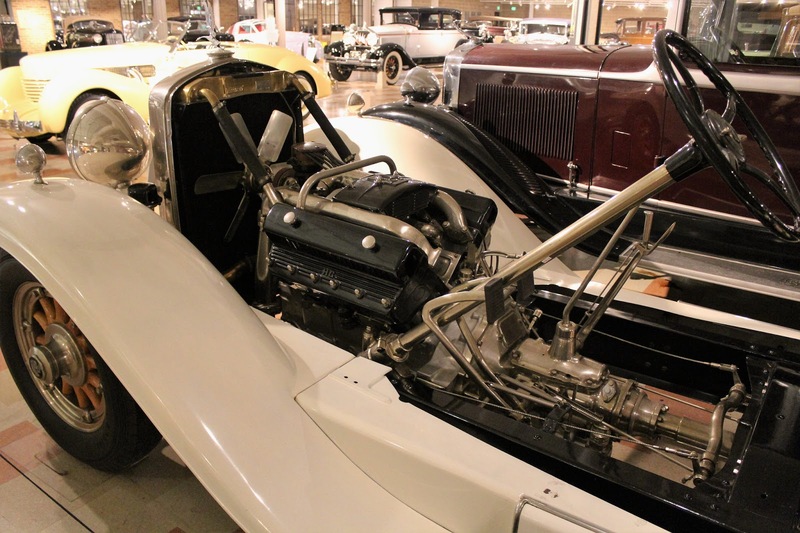 The replica at the museum was built in the 1980s and indications are that the original was a great success as a show car but could not have been produced commercially, being uncomfortable, noisy, with poor sightlines and not having performance to match its looks. 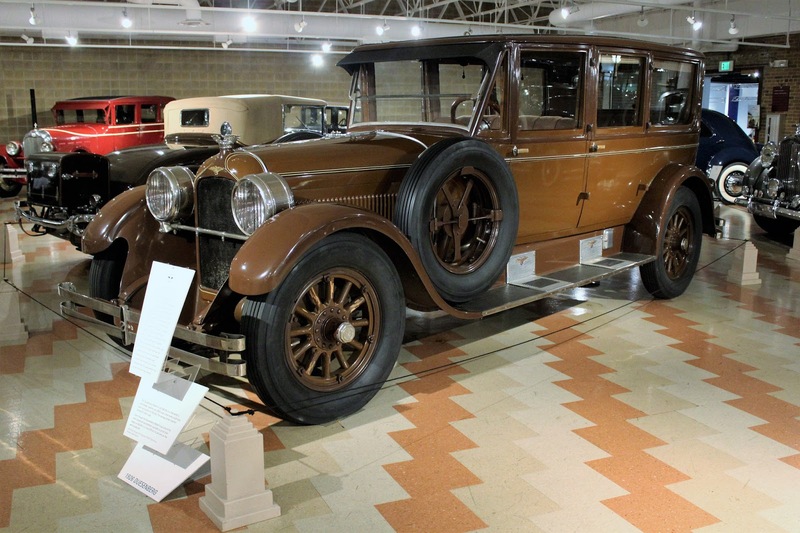 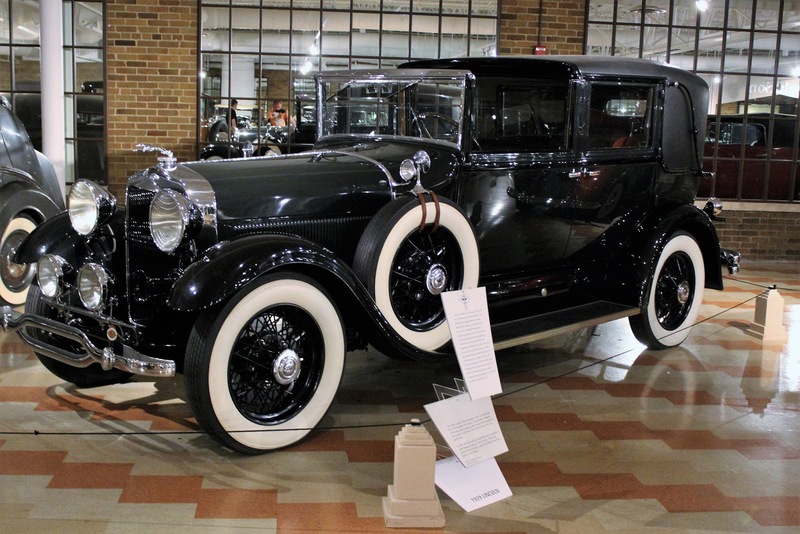 Also on display was a handsome Ruxton, one of only 96 cars built by the scandal-ridden company. 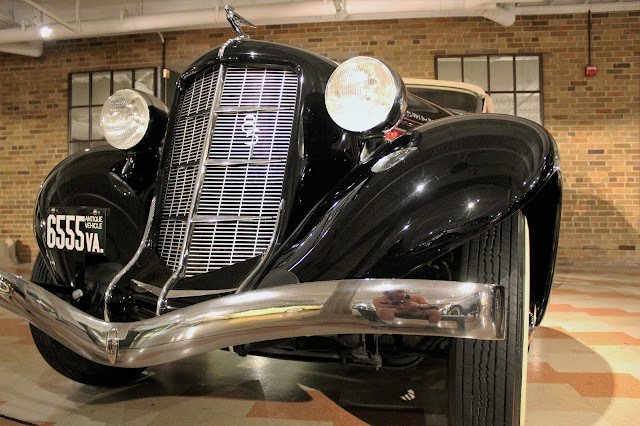 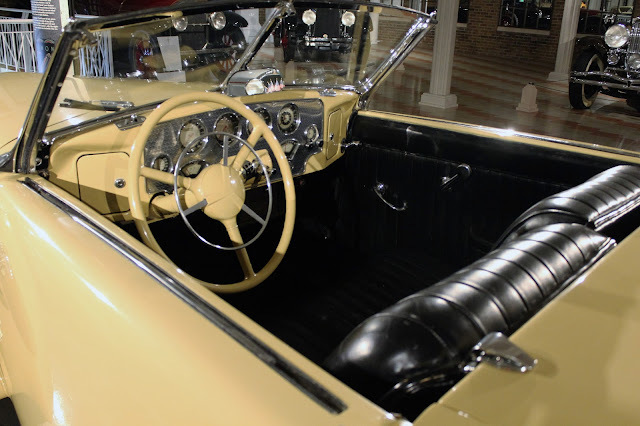 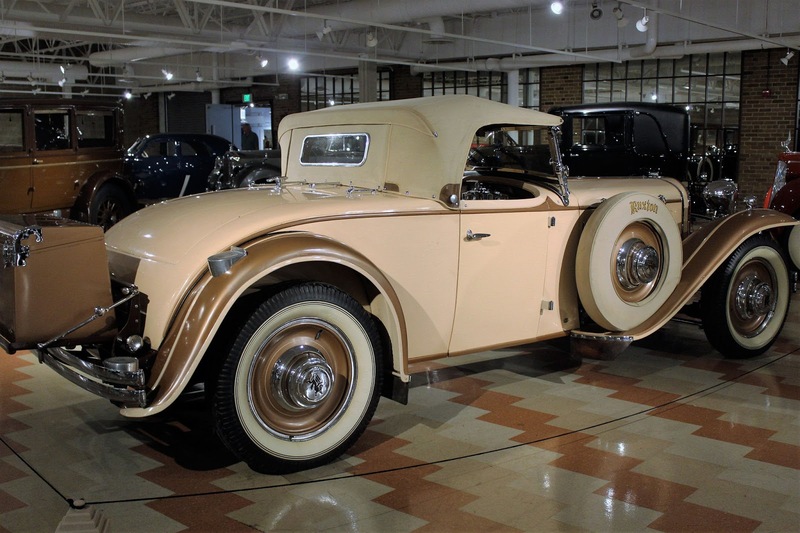 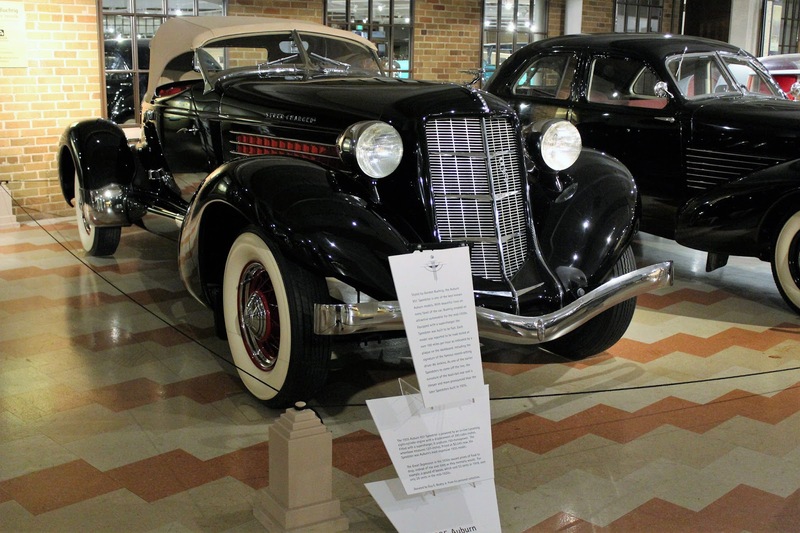 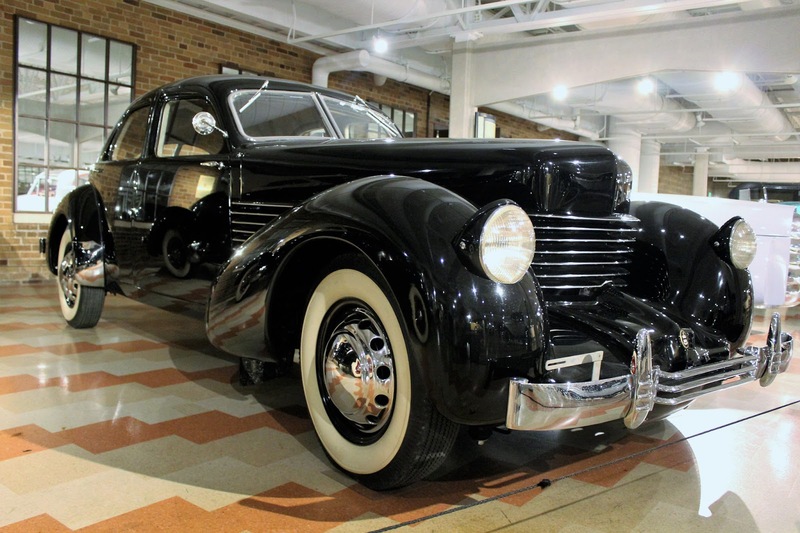 The second American front wheel drive car to enter the market, coming shortly after the L-29 Cord, the Ruxton began as a project of the Budd Company, which planned to sell the rights to produce this innovative car in exchange for body sales. After the Hupp company was approached and was not interested, a Budd board member, Archie Andrews, took it on himself to manufacture the car and incorporated New Era Motors to build it and came to an agreement with Moon Motors to put it into production in their factory. He hoped to entice an investor named William Ruxton to finance the project and named the car after him but Ruxton wanted no part of it. 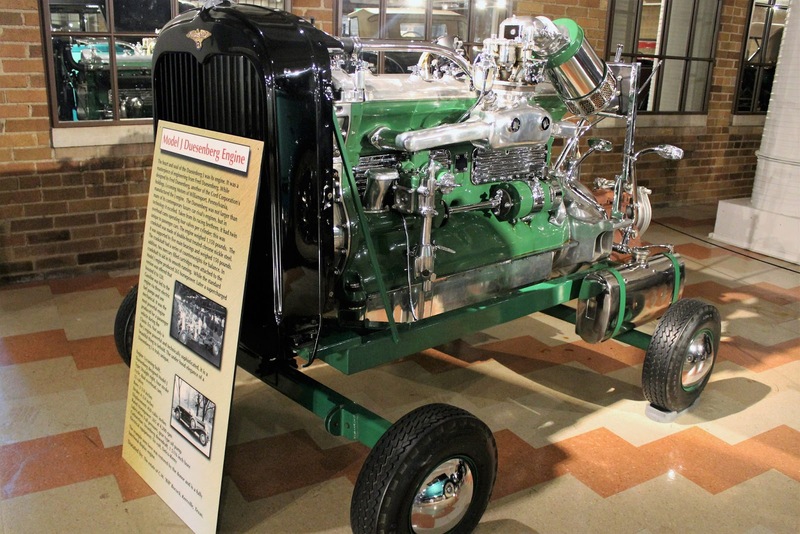 Facing problems with Moon Motors, Andrews launched a succesful hostile takeover of that company but still not much was happening so he turned to Kissel in Hartford, Wisconsin, to build the car. 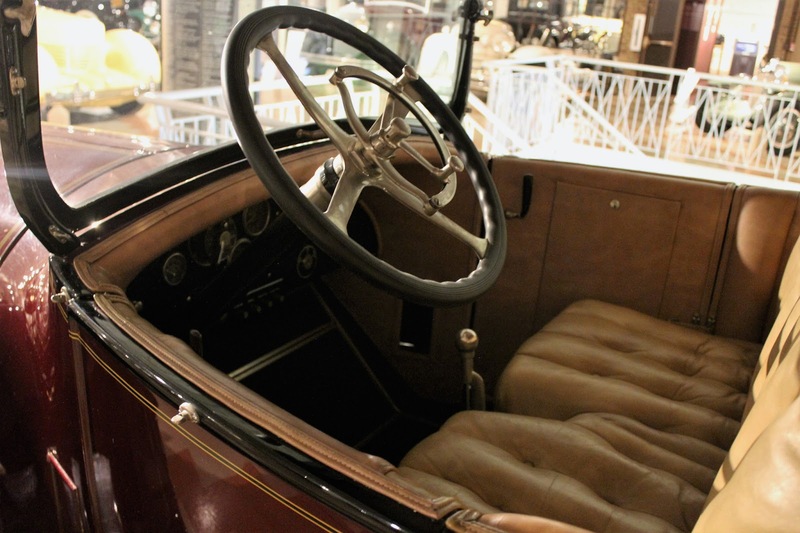 Unsatisfied with Kissel's production, he attempted again to take over a company by hostile means but the Kissel Brothers voluntarily went into receivership and Ruxton production ended after only four months. 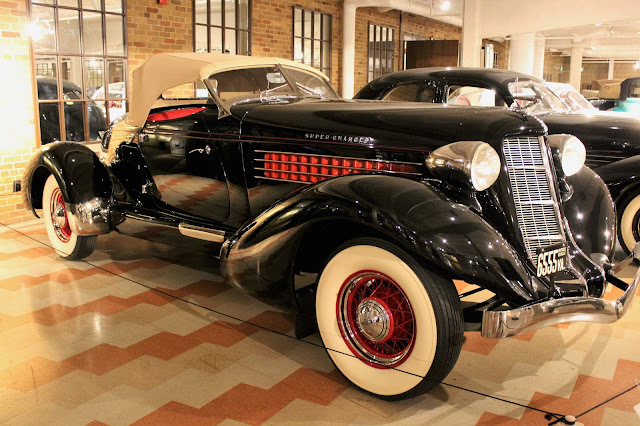 Considered a masterpiece and Auburn's swan song, the supercharged 1935 Auburn Speedster was the final version of the boattailed motif that had begun under Al Leamy in 1928, first inspired by a Duesenberg show car. 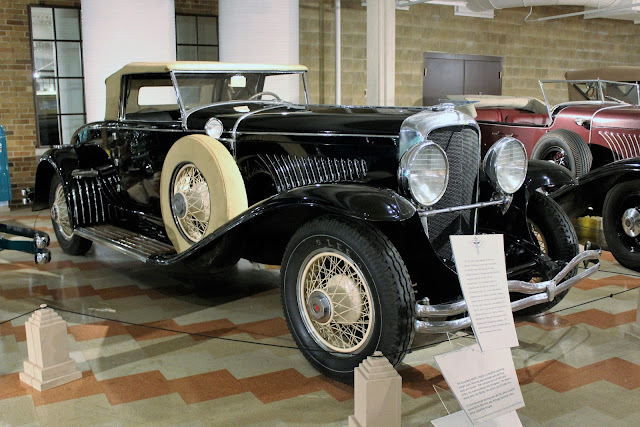 The 851, another brilliant Gordon Buehrig design, was the most expensive Auburn available and approximately 500 were built in 1935 and 1936, the latter as the 852 model, before production ceased. 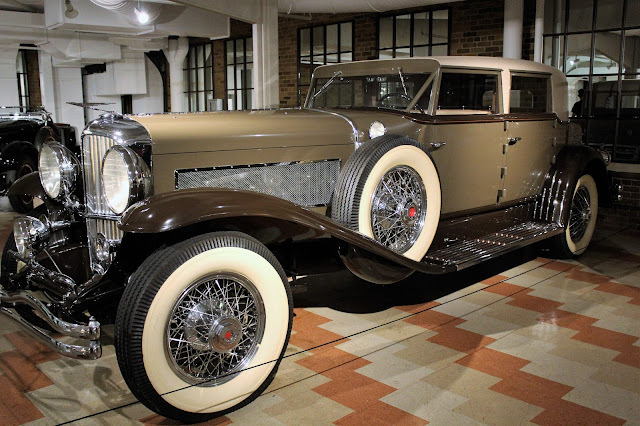 Powered by an Auburn 4.5 litre straight eight engine of 150 hp and supercharged, the 851 was capable of 100 mph. 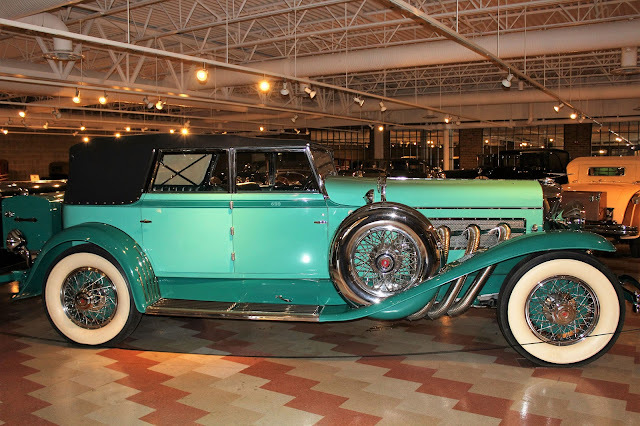 It was ingeniously and cheaply built and in spite of its $2,245 price must have been a performance (and style) bargain for the time. First introduced in 1927, the Stutz Black Hawk Speedster was a refined, high-performance car that ranked as the fastest US production car at the time, hitting 106 mph. 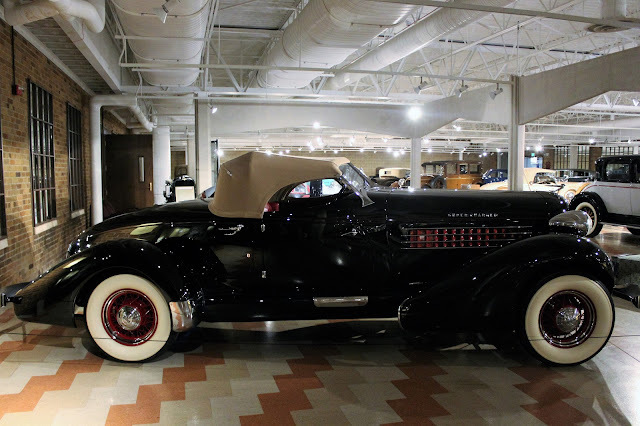 In spite of its 4,478 lb weight, it achieved notable successes in racing, winning the AAA National Stock Championship with five victories in two weeks. 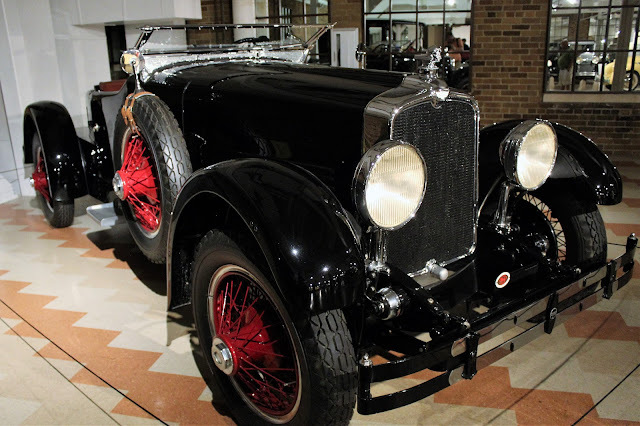 Its most impressive result was a second-place finish by a privately-entered Black Hawk at LeMans in 1928, the best result on the circuit for an American car until Ford's win there in 1966. 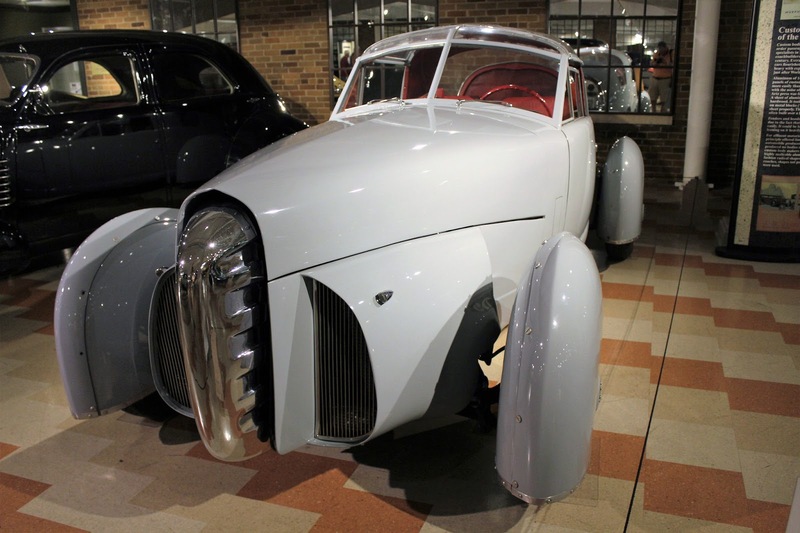 The 1948 Tasco (an acronym for The American Sportscar Company) was the brainchild of a consortium of businessmen who planned to sell replicas to wealthy sportsmen to race at sportscar events in New York State. 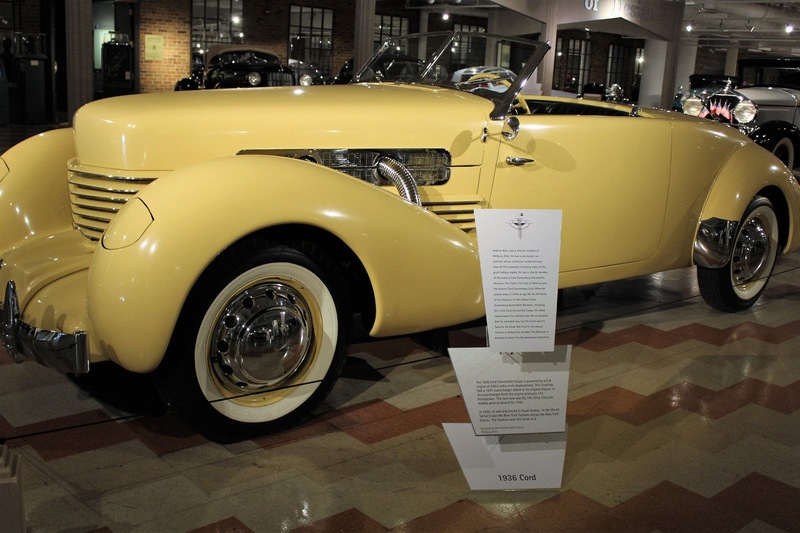 Gordon Buehrig was brought in as designer and the car, based on a shortened Mercury chassis and using a souped-up V-8 engine, was enveloped in an aluminum body constructed by the noted coachbuilders Derham. 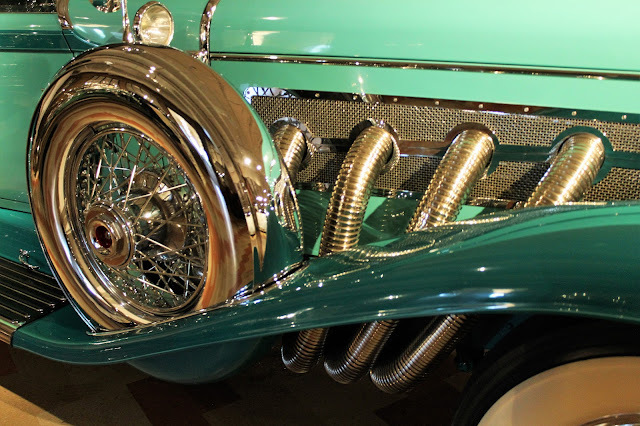 The wheels were faired in by fiberglass fenders. The car borrowed from contemporary aircraft with it enclosed cockpit. It featured lift-off glass panels in the roof, the original t-top that was to appear again in the 1968 Corvette two decades later. 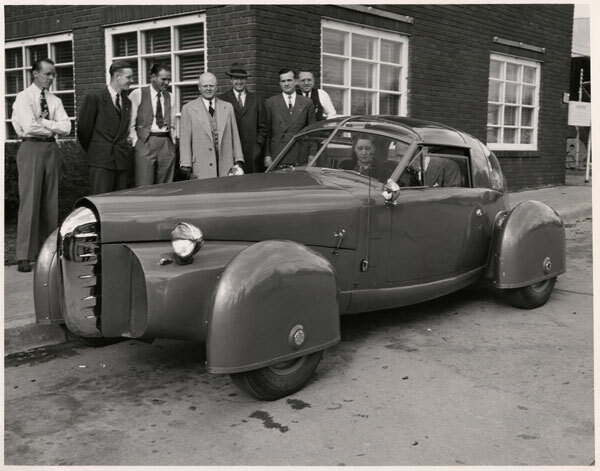 Buehrig was never satisfied with the design, which he felt was too much of a committee effort, and only the prototype was ever constructed. Moving into what was the former Domestic Sales Department, we enter the Gallery of Auburn, Indiana, Automobiles. 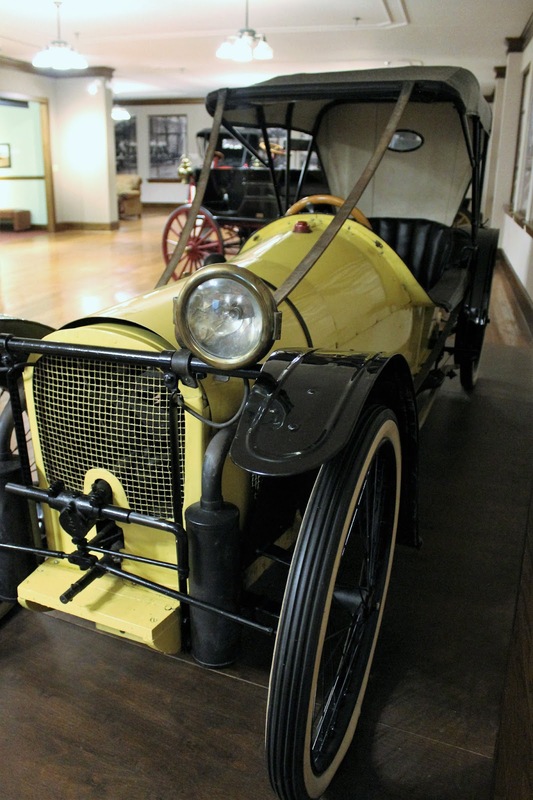 Suprisingly, the small town of Auburn was a hotbed of automotive manufacturing in the days before World War I. 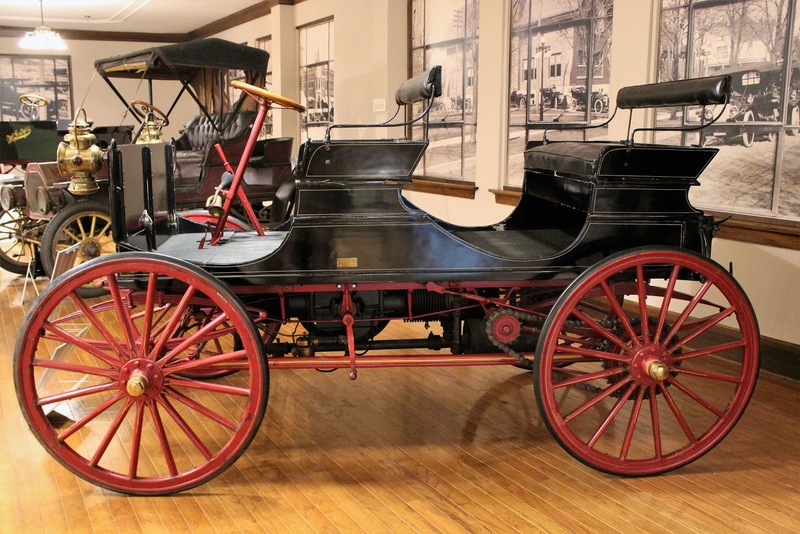 There were at least ten companies active and this gallery highlights several of them and their very early technology of the "horseless carriage" days. 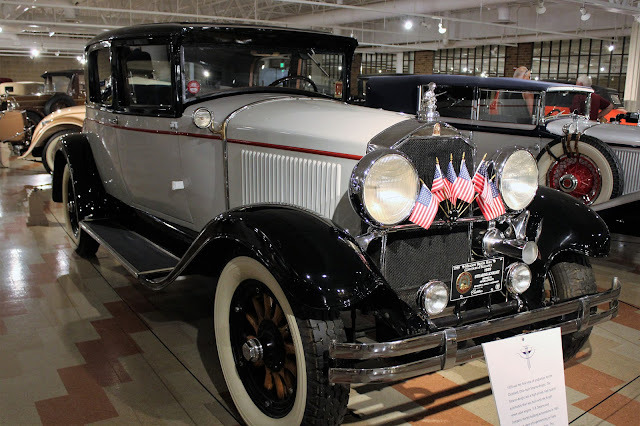 The W.H. 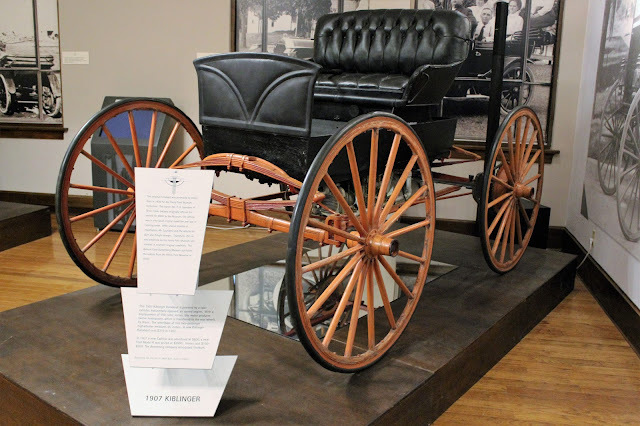 Kiblinger Company was a originally a buggy company and following the death of the W.H. 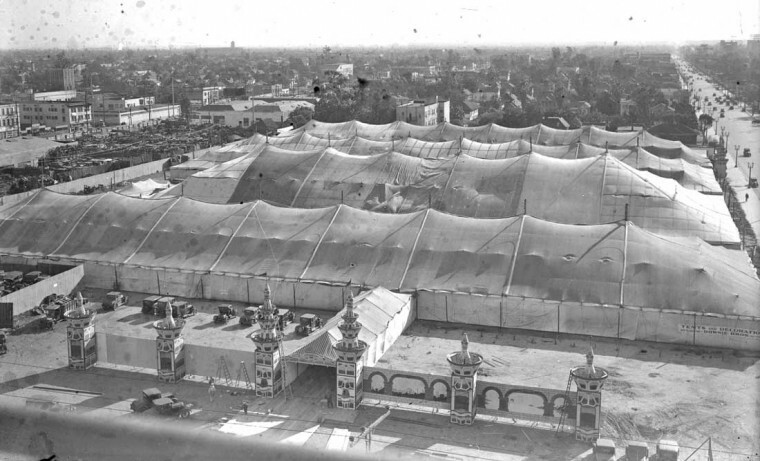 Kiblinger in 1894, was managed by W.H. 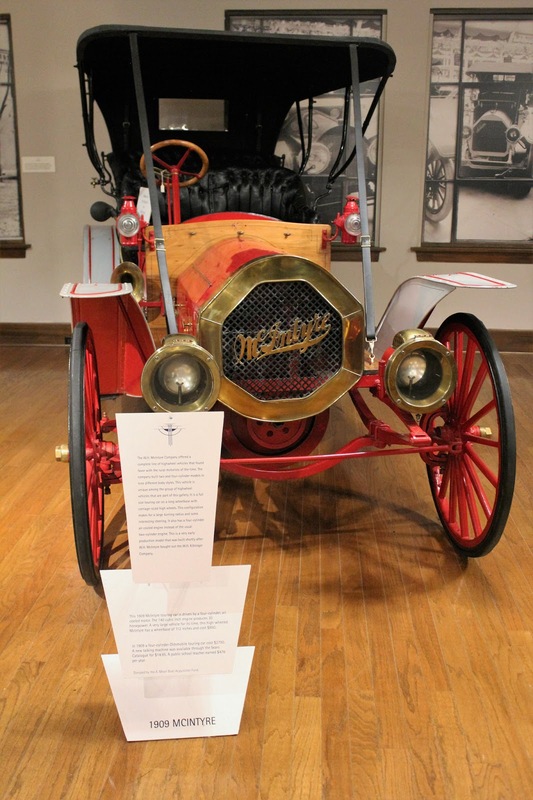 McIntyre, who began to experiment with motor vehicles by 1897. 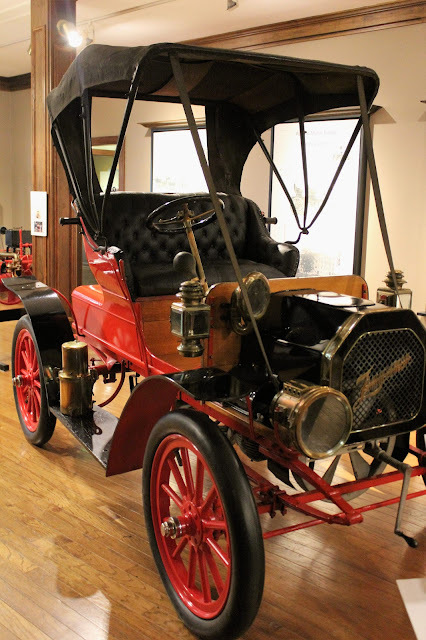 The company manufactured its high-wheeler cars in Auburn from 1907-1909, producing nine different models. 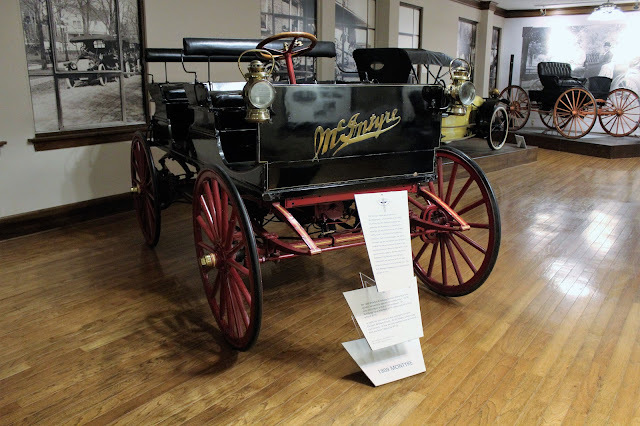 In 1908 the company name changed to the W.H. 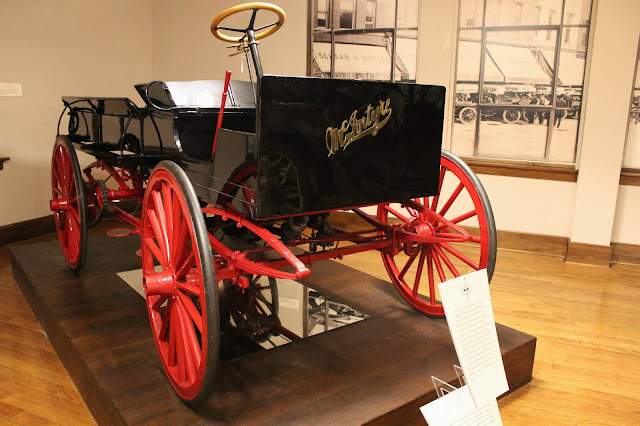 McIntyre Company and the Kiblinger brand became McIntyre, by which time the firm had 400 employees in five buildings in Auburn. In addition to its traditional high-wheelers, it began to offer more modern cars, as well as trucks. The company went out of business in 1915, but not before setting up a subsidiary to produce the remarkable IMP Cyclecar, which was built in 1913-1914. The cyclecar concept of light weight, lower power and low cost came and went in the early days of motoring, killed by the success of the Ford Model T in North America, but continuing to find some favour in Europe even into the inter-war period. 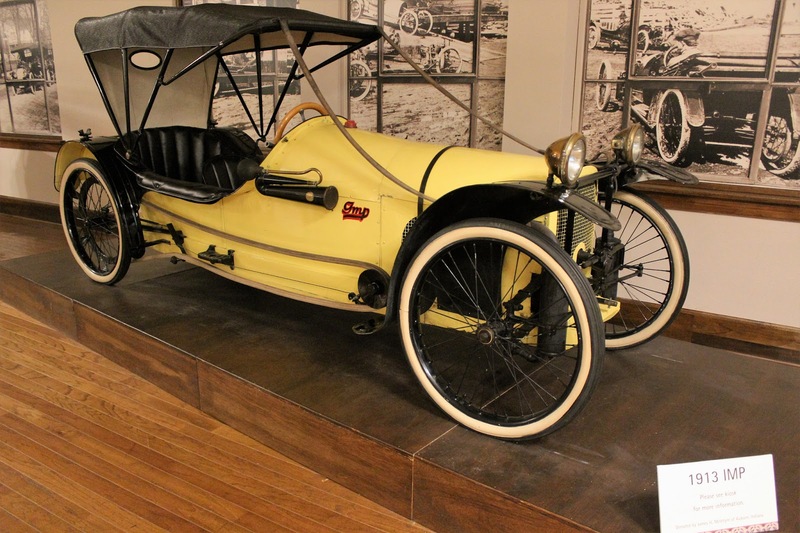 The IMP Cyclecar was conceived by the remarkable engineer William B. Stout, who went on to later fame--if not success--with the Ford Trimotor and the Stout Scarab car. 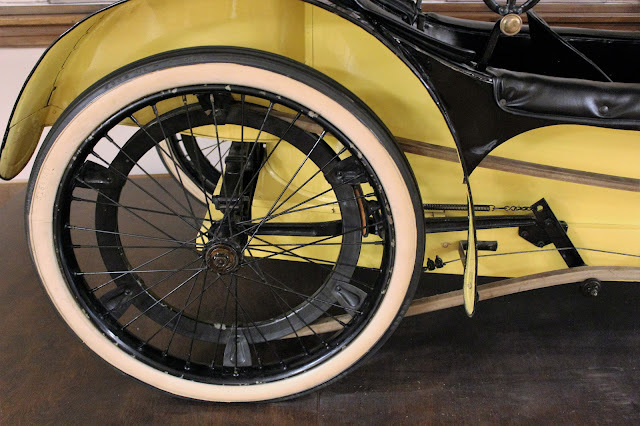 He had attempted to build a cyclecar under his own name but ended up commissioned by the W.H. McIntyre Company to design one. 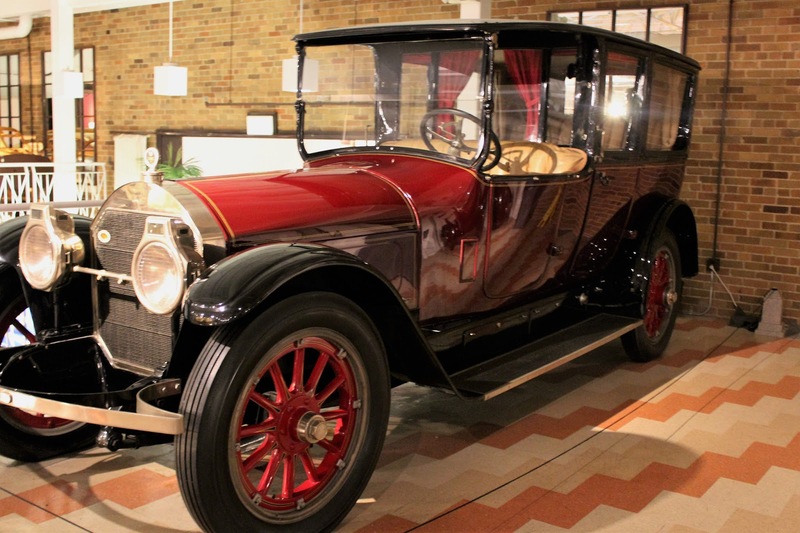 Although sources differ, it seems approximately 1,000 of these novel vehicles were produced from 1913 until the parent company failed two years later. The IMP featured tandem seating, a wooden frame, a 2 cylinder air-cooled 15 hp motorcycle engine, motorcycle wheels and belt drive. 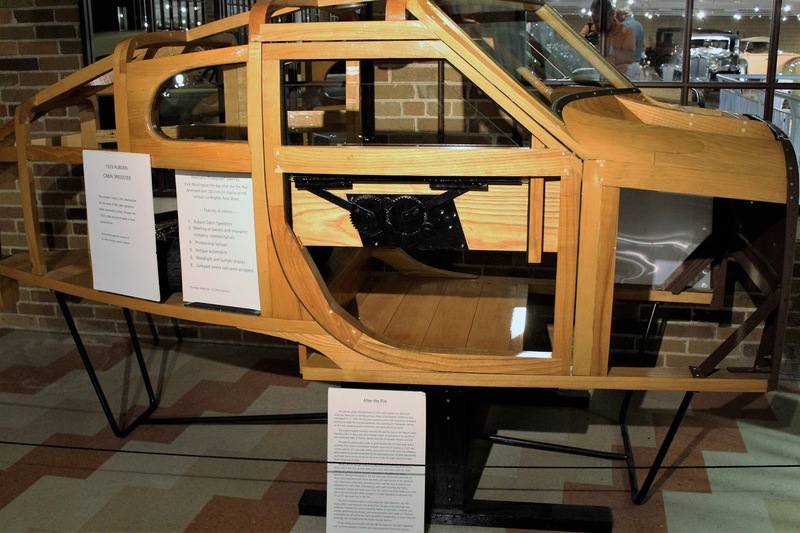 Braking was accomplished by wooden blocks pressing on the belt to supposedly slow the 600 lb car. 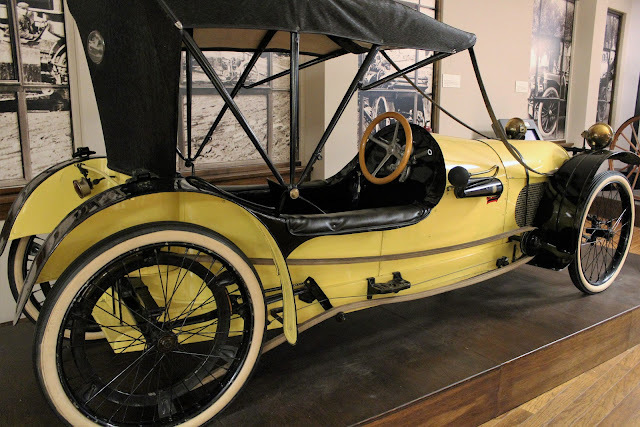 The $375 cyclecar version was followed by a 4 cylinder roadster in 1914, costing $675. 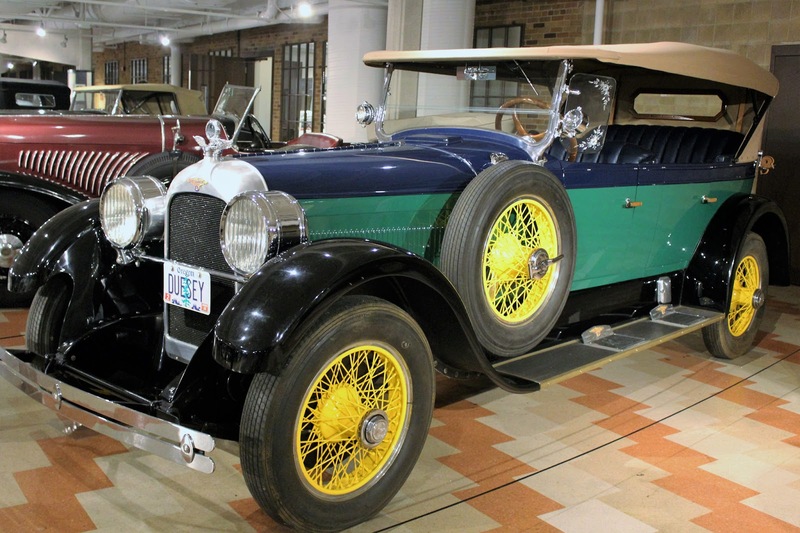 Although operating costs were minimal, the public clearly preferred a "real" car like the Model T for only somewhat more money. 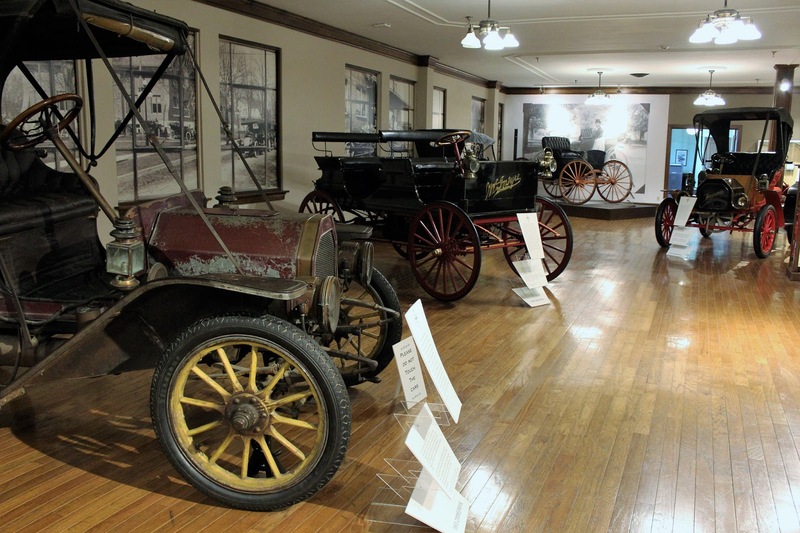 The Zimmerman Brothers were makers of horse-drawn vehicles who began to produce high-wheeler cars in Auburn in 1907, but soon moved to more advanced four- and six-cylinder types. After 1911 they did not maintain their own production facilities but contracted their car construction out to the Auburn Automobile Company. 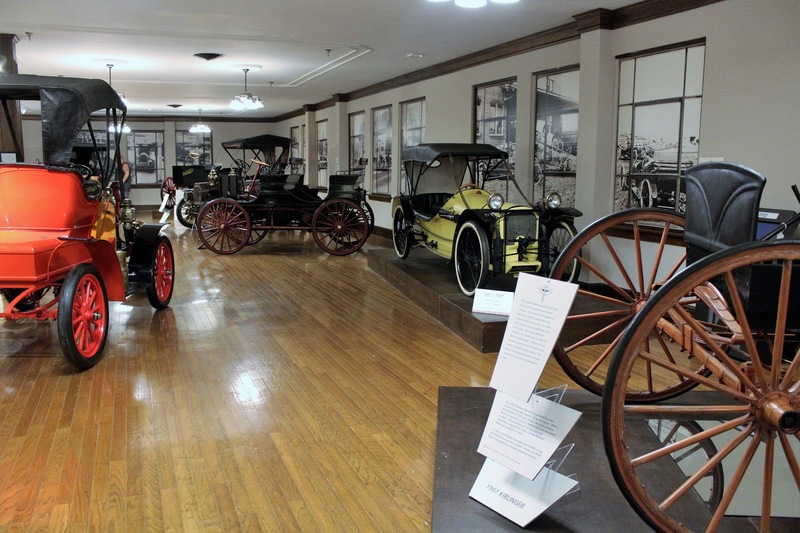 Although auto production under the Zimmerman name ceased in 1914, the company apparently continued to build horse-drawn wagons until 1918.